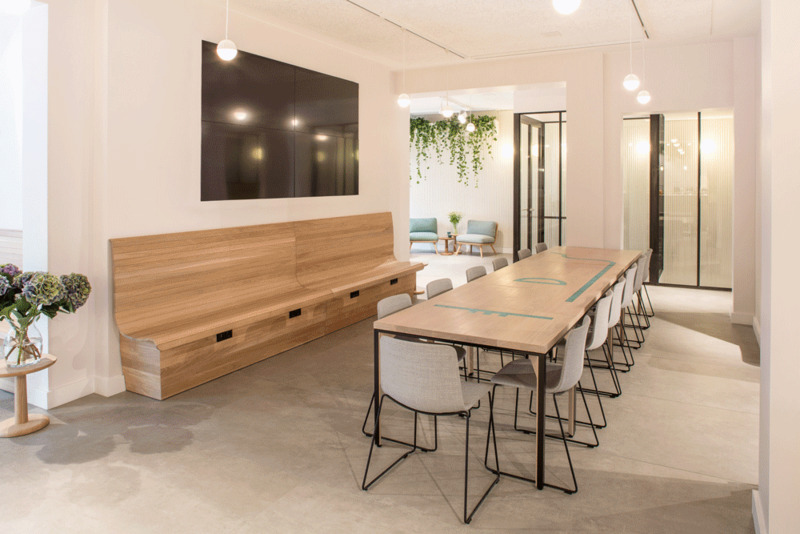 As a key part of our café and co-working space project Hermann's, we designed and produced a bespoke 4.5 metre communal table, which is a central feature of the space. We worked closely with London-based joinery workshop Big Little Projects to develop this highly reconfigurable piece of furniture. The piece is made up of five separate tables in solid oak, powder coated steel and pre-patineated copper inlays that when completely assembled form the Hermann's logo - a contemporary interpretation of the iconic Bahlsen ‘TET’ logo. 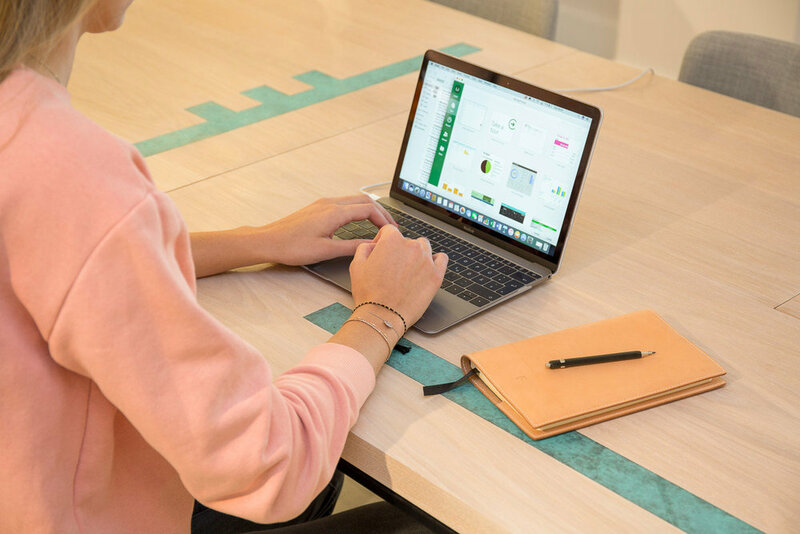 Allowing for a wide variety of configurations and with an integrated power supply, the table accommodates contemporary working practices being able to adapt to a range of functions, including acting as a dining table, pop-up stall and meeting table. Testing out the copper inlays.